Interior design is easy when you add this high quality Safavieh Courtyard area rug to your home. This indoor/outdoor rug made from plush synthetic material is both comfy and stylish. This rug is machine-made for convenience and quality combined. Quality comes first in this floral plants patterned blue rug. 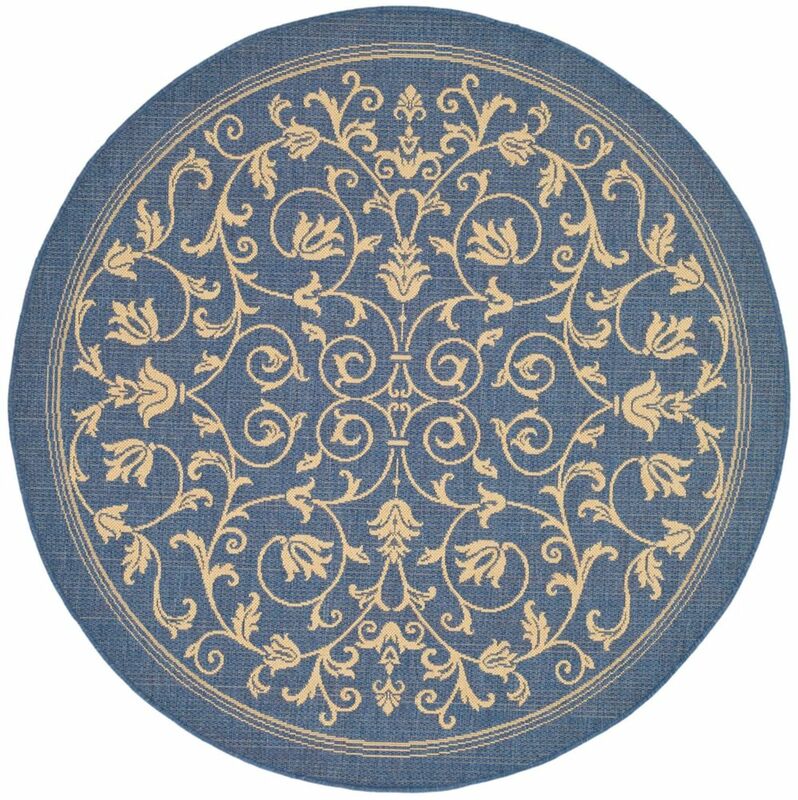 Courtyard Marc Blue / Natural 7 ft. 10 inch x 7 ft. 10 inch Indoor/Outdoor Round Area Rug Interior design is easy when you add this high quality Safavieh Courtyard area rug to your home. This indoor/outdoor rug made from plush synthetic material is both comfy and stylish. This rug is machine-made for convenience and quality combined. Quality comes first in this floral plants patterned blue rug.